This week we decided to venture out into some of our favourite comfort food since winter is still here and it has really cooled off again. 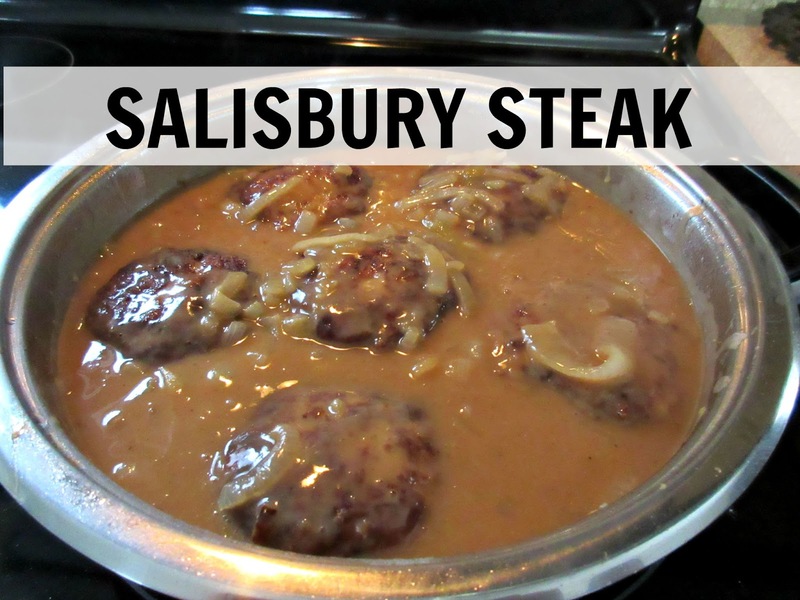 I took out one package of Ground Turkey and decided to make up some Salisbury Steaks our should I say our version of them for dinner. Mashed potatoes are a great side dish for this meal and also my daughters favourite comfort food. Since she is home now and no longer in remission I thought I would cook up one of her favourie meals for her. In a large skillet heat oil to medium high. In medium bowl combine ingredients for patties and shape into 4 to 6 equal sized patties. Dip each patty into the flour and cook until browned, remove and set those aside. Add the sliced onions to the skillet and cook until lightly caramelized, stirring regularly. Whisk together the beef broth, water, flour, season salt, pepper and worcestershire sauce. Pour into the skillet with the onion and stir constantly, until mixture begins to thicken. Return hamburger steaks to the skillet, turn to coat, add sliced mushrooms if using, and reduce heat to simmer. Cook, covered for about 15 minutes longer. Great when served with Mashed Potatoes and a vegetable of your choice. What is your families favourite comfort food?